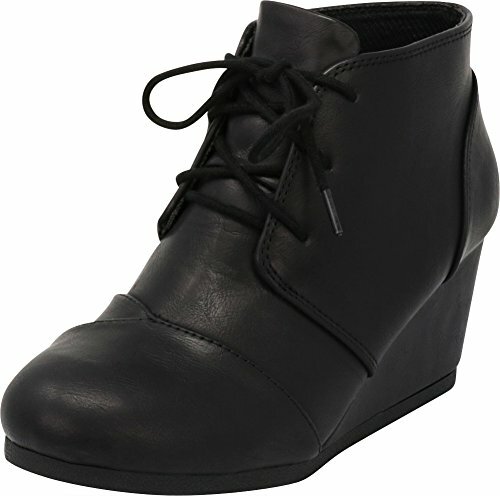 Cambridge Select Women's "Love" bootie features vegan-friendly leather/suede throughout. Slip on style with adjustable tie closure, round toe & comfy 2.75" wedge heel & .25" platform. Imported. YOU WILL LOVE THESE: Vegan-friendly wedge booties pair easily with dresses, skirts, leggings or skinny jeans for a variety of on trend looks! ON TREND DESIGN: Round toe front with wedge heel is a must have for 3-season wear!